This may sound dumb but I've read through this entire thread (almost) and am still unclear as to what is technically "illegal" for a hitch. When you have the type that pulls from above the rear axle on some sort of pivot, is this what I've heard called a "trick hitch" or can this be used in classes requiring a Reese style hitch? 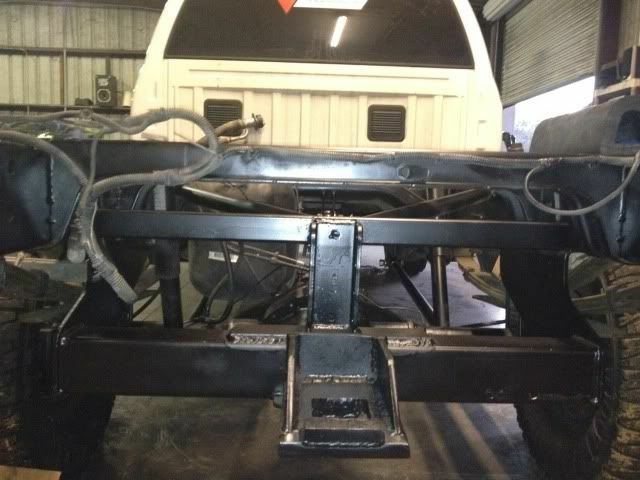 Darcy - 97 F350, back-halved, 4 linked, and 24" of rear travel and 16" front. A "Trick Hitch" is one that will move up or forward during a pull. What you have described pulling down from above the axle is part of a drawbar type hitch. Most places will say that if it does not tie into the rear axle it can be looked at as a Reese Style. That makes sense now. Thanks. So is there any geometry that can be used to figure out what angle to have the drawbar come down at so it plants the truck better or is it mostly a trial and error thing? Last edited by UNBROKEN; 01-05-2012 at 06:20 PM. 24. ** The hitch must be a "Reese"-style hitch; reinforcements are permitted. Trick hitches are prohibited. * The hooking point must be the rear-most point on the vehicle and must be rearward of the stock location of the tailgate. The hitch must be horizontal to the ground and stationary in all directions. * Bumpers may be notched or removed. The hitch's height from the ground may not exceed 26 inches. The hooking point must have a minimum 3.00-inch inside diameter opening for the sled hook. The hooking point will be measured to the top of the clevis loop. Y'all think a super street hitch will pass if it still has a Reese receiver built into it? ok i asked our tech guy and he said it has to be a actual reese style. my hitch is tucked up as close as it can be. Protrudes past the tailgate handle just enough to break the plane. 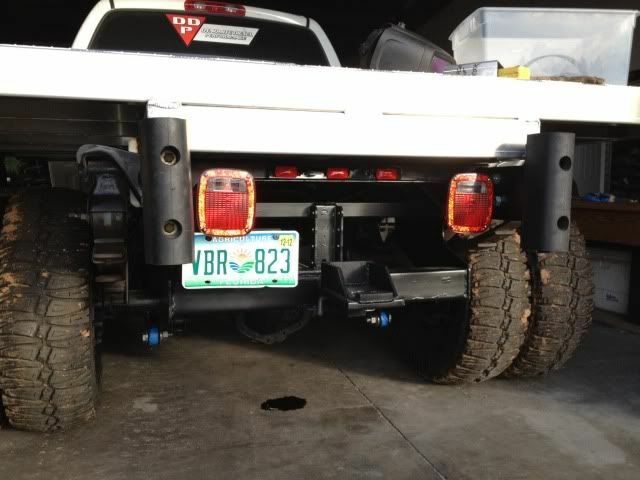 Is there anything that will help with a basic hitch built like this? I see a few hitches on here use the round hook for pintle hitches. If im not mistaken those things are barely three inches inside diameter. I would say you d have to be careful with them because they wont work at some places. I thought a lot of places require a 3 1/2 or 3 3/4 inch hole. Those are also cast material. Not the best choice for a pulling hitch. Especially when the ring is opened up to pass the 3.75" rule. Yeah I had one with the large D ring and it started to bend with one hook. I have a drawbar setup to go on, just haven't gotten to it yet. so you are gonna bring it out and pull with us this year rob? We'll see what happens, I'll hit Chestertown, Cecilton, the fair, and Easton at the least. Ive ran a pintle style for the past two years now without a bit of trouble had to take out a little materal for the hook but not enough to make any huge difference. I wanting to go with a Drawbar style this year since im going 3.0. Anyone got any good pics of your 3.0 hitches?? When I put it in I'll take some. Gotta put the engine back in first haha. 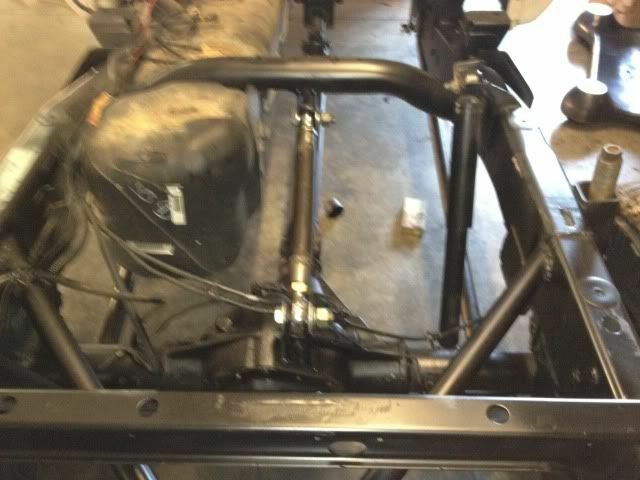 I got time lol mines still not all the way apart yet.. Gonna set the cab off this weekend to get some frame work done. Come on guys times tickin pullin season is right around the corner.